We had a great trip to and from Southwest Kansas. 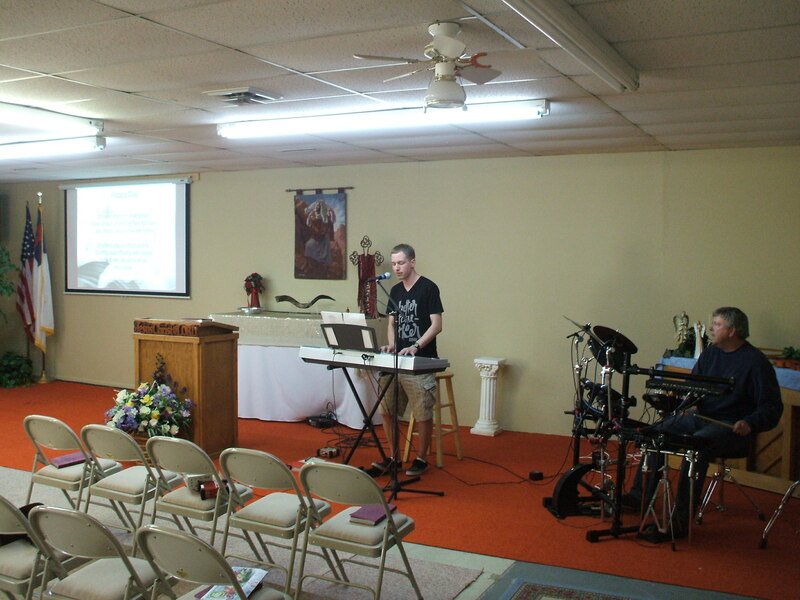 We drove nearly 1100 miles round trip in four days to provide ministry, a message and music ministry at a small rural church for Easter Sunday. 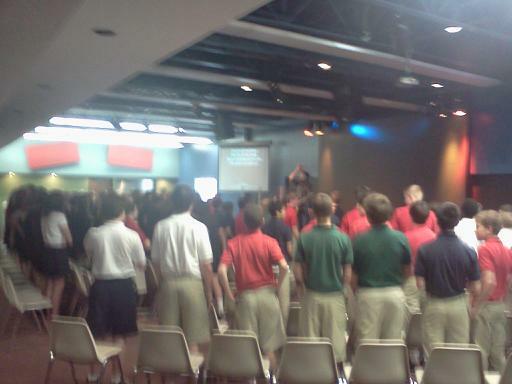 Jason did an outstanding job of pulling together a power point presentation, plus selecting music and leading worship. They have a new family at the church and the gentleman plays electronic drums, so we arrived early and he and Jason practiced and it really worked out well. The sound was terrific. I preached a new Easter message out of Mark 16 including the phrase where the Angel tells the women that Jesus is risen and that they should go and tell the disciples and Peter. I spent some time on those words “and Peter” and had the folks in the service insert their name too, specifically if they had strayed back into an old habit or sin pattern or addiction, reminding them that God was planning on using Peter even when he denied Jesus three times, and that Jesus was planning on using any of us too. 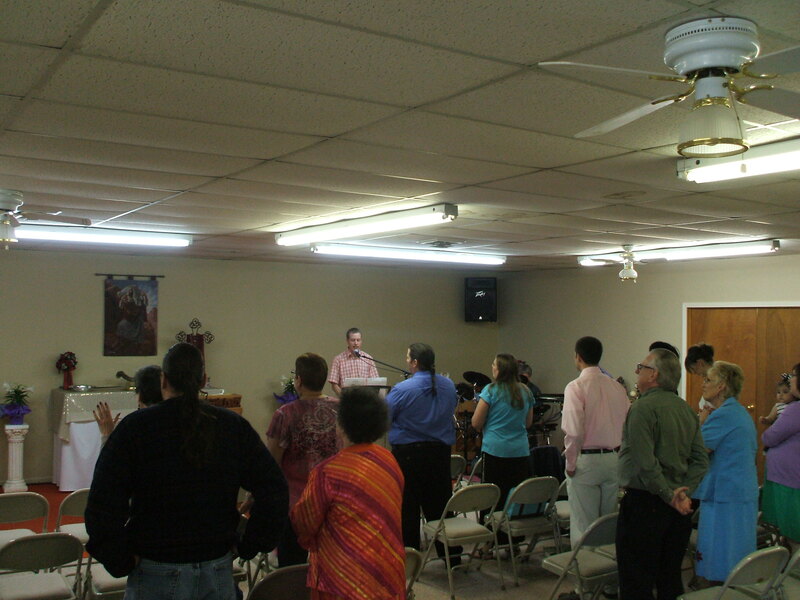 There was a lot of great ministry and many appreciative folks from the crowd of 25 people who attended. That’s right, God blessed us with 25 people after that long drive. The last time we were there, we had an ice storm and only nine people showed up so this was a wonderful improvement. At one of the hotels we stayed at, I got to talking to a young lady behind the counter who was at this hotel the last time we stayed there over a year prior, and was encouraging her in desire and dreams and then offered to pray with her, and she kept thanking me afterwards stating how much she needed that prayer. Her name is Amber and she wants to be a chef someday. We are grateful for our friends and Strategic Intercessory Team for your Prayers and notes of encouragement. 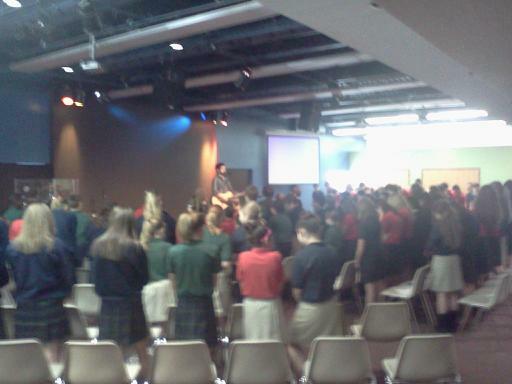 Then today I let a chapel for about 100 plus middle school students, talking and sharing about the supernatural power of God, then downsizing that a bit to praying for folks who needed it, sharing examples of this like the one above about Amber, and then proceeding and tying in with the phrase “and Peter” giving the students a chance to prayerfully respond. And I saw 40 students identify the need for prayer for freedom from habitual sins and freedom from the guilt and condemnation from those sins that seem to keep them from believing that God could ever use them in ministry, then adding in a time for other students who really wanted to be used by God in praying for people either in public or in church, and seeing the power of God demonstrate, and around 70 to 80 students stood up for prayer for this anointing too. I will get to return and minister a second time to these students again next Tuesday, one day after arriving home from my trip to Lansing Michigan where I will be flying into on Thursday of this week and ministering twice at Spirit of Christ Church and then once with the IHOP there that meets on the campus of Michigan State University with many college students attending something they call The Furnace, so it should be fun. After chapel next Tuesday, I then have to get ready to go and minister at the Nebraska State Aglow Conference out in Kearny, Nebraska, so the schedule is full, and I am grateful for God and his blessings in my life that I get to share with others. My book “Downloads from Heaven” is selling well, and nearing the 500 mark in copies distributed. I am grateful for this avenue of ministry and I am 2/3 of the way completed with my next book too. I hope to have it published by mid-summer depending on editing and a couple of other variables. Please continue to pray for that process and for our upcoming speaking engagements. If you have a prayer request, please leave it in the comments section and we will gladly pray for your needs too. This entry was posted in Kingdom Encounters, Kingdom Living, Upcoming Ministry Opportunities and tagged Aglow, Downloads from Heaven, editing, electronic drums, furnace, Hugoton, IHOP, Kansas, Kearny, Lansing, Michop, middle school, Peter, Spirit of Christ, worship by anointed2go. Bookmark the permalink.